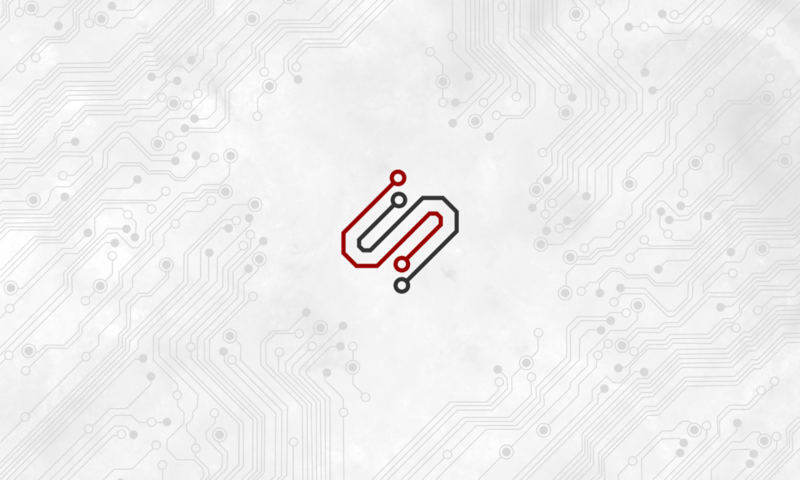 Since its inception, I have participated in the Global Game Jam (GGJ) event held every January since 2009. The event entails making a themed video game in 48 hours. At the beginning of the event, participants are given an overarching theme to incorporate into the developed games, form into teams, then get developing! I have participated in four GGJs so far, but the third one did not result in a working game (unfortunately I had to leave early). Canyon Chums: Our first Global Game Jam game. 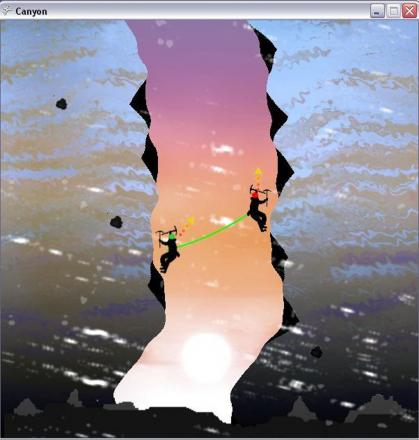 The game developed for GGJ 2009 was Canyon Chums, a 2-player cooperative game where the goal is to escape a slowly closing icy canyon. The theme was something like cooperation. Swimming Snake: Our second game developed for the Global Game Jam. 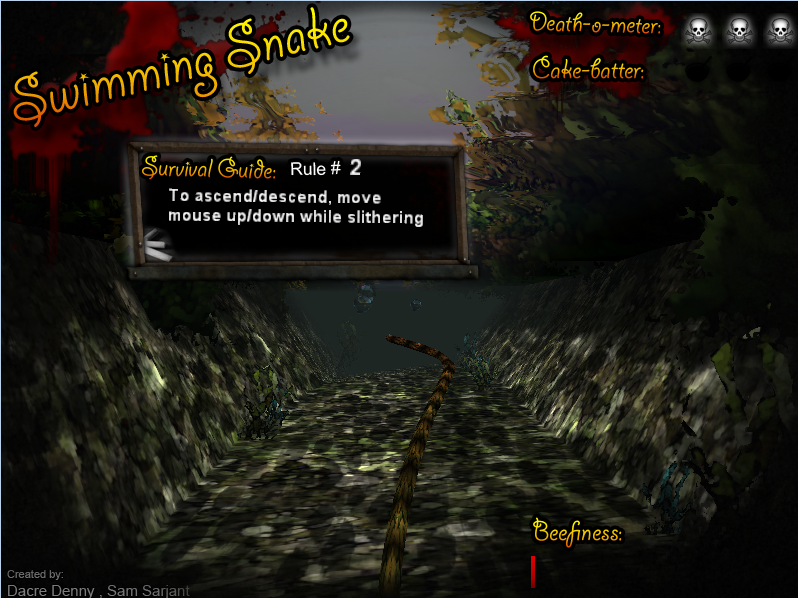 Swimming Snake was the game developed for GGJ 2010, where the game is a somewhat arcadey-style game of eating fish and avoiding puffer fish. The problem is, all fish look the same until they get close, which is when puffer fish expand. The theme for this year was deception. The game partially developed for GGJ 2011 was a 3D Tower Defense game (think Plants vs Zombies in 3D), which involved defending the last known tree on an island from encroaching creatures. 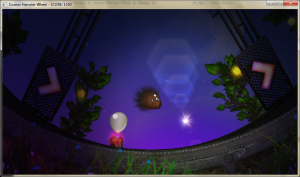 Cosmic Hamster Wheel was the game developed for GGJ 2012. The theme this year was simply an image of Ouroboros (the cyclical snake eating its own tail), so this game involves running around a circular environment, gathering fruit and avoiding explosive robots on balloons (it doesn’t really make sense, but hey!). The game turned out quite pretty, but I was dissatisfied with how it played compared to previous year’s efforts.